P.C.B. - Printed Circuit Boards - Cross Technology Inc.
Cross Technology offers printed circuit board (PCB) services through our contract manufacturing services as well as our strategic business partnerships. 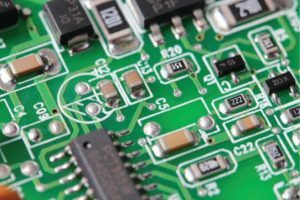 We specialize in both thru-hole as well as surface mount placement; single thru multi-layer applications. We will supply you with quality quick turn PCB at a competitive price. We use your Gerber files as well as schematics to manufacture your custom Printed Circuit Boards. Custom prototype, as well as small to high volume requirements. For large volume projects we offer high speed pick and place machinery for SMT placement along with bulk wave soldering or reflow ovens. At larger quantities, inspection can be completed visually or optically. Volume and large production runs are checked for quality using automated optical inspection (AOI). This process will inspect the inner layers of your PCB before lamination, afterwards mistakes cannot be corrected. Our skilled technicians can complete your boards by manually placing any remaining thru-hole components. Based on your project requirements our boards can be 100% tested before leaving our facility. With our state of the art equipment as well as highly trained staff we will significantly improve your lead time. With our high speed automation capability, we can offer you the most competitive pricing in the industry! Our skilled procurement department and partners only deal with certified, reliable suppliers that are dedicated in preventing the purchase and/or use of counterfeit electronic parts in the manufacturing of your product. Our automated inventory management system will allow us to segregate and securely stock any components you wish to consign to us!